In the preparation of this website, every effort has been made to offer the most current, correct, and clearly expressed information possible. Nevertheless, inadvertent errors may occur. In particular, but without limiting anything here, Effervescent Technologies disclaims any responsibility for typographical errors and accuracy of the information that may be contained on Effervescent.in web pages. Effervescent Technologies also reserves the right to make changes at any time without notice. The information and data included on Effervescent.in web pages has been compiled from a variety of sources. Unless expressly stated otherwise, opinions given on this website are those of the individuals making them, and not those of Effervescent Technologies or its funders: the Institute is not responsible for such opinions or any claims resulting from them. Further, Effervescent Technologies makes no warranties or representations whatsoever regarding the quality, content, completeness, or adequacy of such information and data. In any situation where printed publications differ from the text contained in this system, the printed documents take precedence. Some parts of the Effervescent.in website are interactive, and we encourage contributions by users, which may or may not be subject to editorial control prior to being posted on the website. Effervescent Technologies accepts no responsibility or liability for any material communicated by third parties in this way. Effervescent Technologies reserves the right at its sole discretion to remove, review, edit or delete any content at our own discretion. You must not use any part of the website for any purpose which is illegal, immoral, offensive to others or in breach of others’ rights, or submit any content of that nature. This includes, but is not limited to any content or purpose which is discriminatory or harassing on the grounds of race, gender, religion, age or any other personal attribute, foul language, inciting hatred, sexually explicit, abusive, defamatory, in breach of copyright or other rights and such other activity as Effervescent Technologies may from time to time determine is unacceptable. Effervescent Technologies may remove or block access to any content or communication for any purpose. If you feel that your rights are infringed by anything on this site, please contact the Effervescent Technologies Communications Team by giving a full description of the offending items and reasons. Effervescent Technologies will investigate and, if it agrees, remove or block such content. While every effort is made to ensure that this website operates reliably, Effervescent Technologies make no representations or warranties regarding the condition or functionality of this website, its suitability for use, or that the service it provides will be uninterrupted or error-free. By using this website, you assume all risks associated with its use, including any risk to your computer, software or data being damaged by any virus, software, or any other file which might be transmitted or activated via this website. Effervescent Technologies shall not be liable for any direct, indirect, special, incidental, or consequential damages, including, without limitation, lost revenues or lost profits, resulting from the use or misuse of this website or the information contained in this website. Reference herein to any specific commercial products, process, or service by trade name, trademark, manufacturer, or otherwise does not necessarily constitute or imply its endorsement, recommendation, or favouring by Effervescent Technologies. The views and opinions of authors expressed herein do not necessarily state or reflect those of Effervescent Technologies, and shall not be used for advertising or product endorsement purposes. Links from the Effervescent.in website may take you to other websites that are not controlled by Effervescent Technologies. While such links are provided in good faith, Effervescent Technologies does not approve or endorse the websites to which it has established links in any way. Links are provided for your convenience only and Effervescent Technologies is not responsible for the content or privacy practices of any other website linked to or from the Effervescent.in website. Use of any such links will not render Effervescent Technologies liable to you or any other person for loss or liability of any kind. We have tried to ensure that links to off-site materials are clearly indicated. If we have linked to your material and not clearly indicated that the content is non-Effervesent, please let us know so that we can resolve the matter by making the link clearer, or removing the link. When you visit the Effervescent.in website, we log non-personally-identifiable information including IP address, profile information, aggregate user data, and browser type. We use this data to monitor usage and improve our website services. In cases where you have provided Effervescent.in with personal data, this may be used internally by Effervescent Technologies to monitor and evaluate the effectiveness of the services we provide. We may also use this information to contact you in the future unless or until such a time that you say you do not wish us to do so. 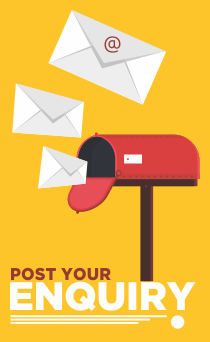 When you request to receive information, publications or eNewletters, you will need to provide a limited amount of information that identifies you personally. This may include one or more of the following: your name, address, telephone number, email or other information appropriate to your request. We will not share your personal information with third parties. The Effervescent.in website publishes an Experts database containing information about individuals and organisations. If you wish to register your personal details for use on these publicly available databases. You have the right to inspect and update your personal details. You can do this yourself by requesting the instruction process for the same. If you require help with this, please contact the Effervescent Team (support@effervescent.in) who will process your request within a reasonable time. If you are sharing your email address with other people, Effervescent Technologies cannot protect any information you provide against access by the other users of your email address, nor can Effervescent Technologies prevent other users of your email address changing your subscription details. Publishing Your Personal Information on Effervescent Technologis Pvt. Ltd. If you choose to publish your personal information on Effervescent.in you are required to provide accurate information about yourself and accept sole and full responsibility for this and for keeping the information up to date. You should not enter information on behalf of another person or about any other person. IDS reserves the right to edit each contribution (within the limits of the 1998 UK Data Protection Act). If any of the information submitted is deemed to be offensive, inflammatory or materially misleading by Effervescent Technologies (in its sole discretion), Effervescent Technologies reserves the right to refuse to publish contributions. You are responsible for the safeguarding of any information, such as passwords and user IDs needed for use of your computer and/or your account with Effervescent Technologies, and Effervescent Technologies will not be responsible for any consequences of such information failing to be adequately safeguarded. You should not enter information on behalf of another person or about any other person. You are required to use all reasonable endeavours to ensure against unauthorised access to the service, in particular the use of user names and passwords by unauthorised individuals. Password reminders and other information from the service will be sent to the email address you have given.